There is no change in the venue of IIFA awards which will be held in Colombo. Sir Ben Kingsley unveiled his star on the Hollywood Walk of Fame Thursday. Anand says his film "Anjaana Anjaani", is inspired by American sitcom "Friends". Kareena is not playing truant for 'Milenge Milenge' promotional video. Jaya has turned down Rajya Sabha nomination offered to her. Teen drama "Skins", is set to be converted into a movie. 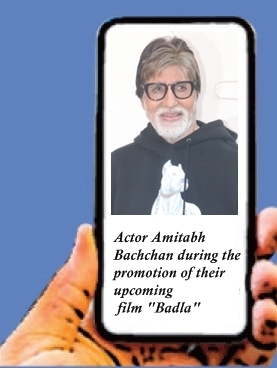 Bollywood superstar Amitabh Bachchan is now trying his hand at video editing.